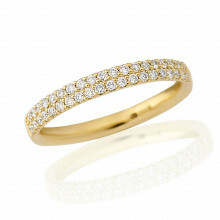 An 18ct Yellow Gold band, smooth and polished on the inside with four rows of round brilliant Diamonds on the outside. 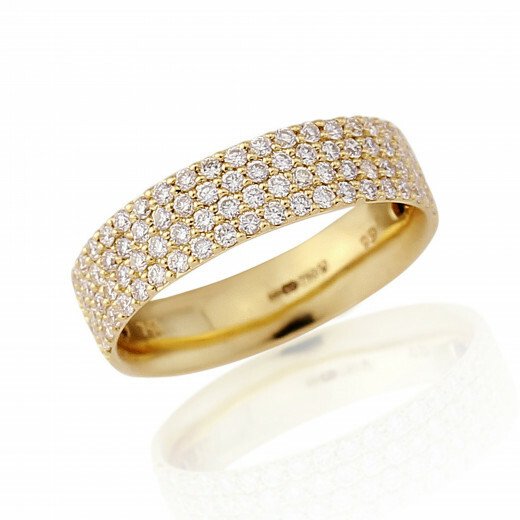 The stones are 'pavee' set whereby they sit very close together to give a look of uninterrupted sparkle! 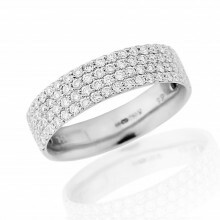 A very special ring which can be worn alone as a classic piece or stacked with an engagement or wedding Ring.